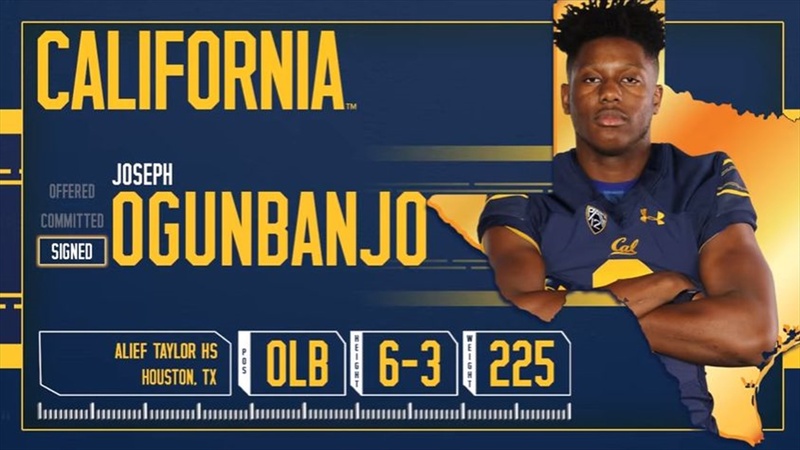 After a strong fall camp and a solid start in the season opener, Cal outside linebacker Joseph Ogunbanjo is quickly making his mark on the field as a true freshman for the Bears. A dynamic player, Ogunbanjo has elite speed from the edge and an aggressive streak that will only get better as he continues to get stronger. At the tail end of Cal camp, Bear Insider had the chance to talk with the 6-3/225 freshman from Houston.